Trust our 30 years of experience to work for you. 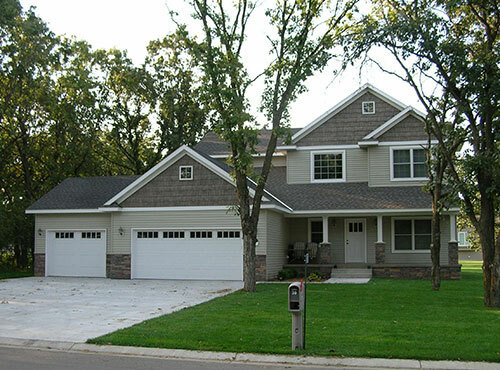 You will get on time completion, and we only bring in the top subcontractors to work on your home. Do you need a home built on your property? If you are pursuing a custom-built home on your own land, call us to ask questions about our services. We are happy to work with you and help you come up with ideas for the perfect home. When it comes to your new home construction, count on us every step of the way. We'll help you design your dream home and then use our more than 30 years of experience to build it to your liking and on your timeline. WHEN YOU HIRE US, IT'S PERSONAL. Get a home that stands out from the rest. Using your ideas and our own, we'll make sure you have a one-of-a-kind home you'll be proud to show off to friends and family. Your new home will be completed on-time and only the best subcontractors in the business will be trusted on your project, ensuring your home is exactly what you want.